Thai multidisciplinary design studio Supermachine based in Bangkok has been working on a several projects for Bangkok University, including their BU Creative Center, BU Lounge, and, most recently completed, BU Brand Unit. They are all fun, colorful, and clever designs that complement each other, yet each with different challenges and budgets. 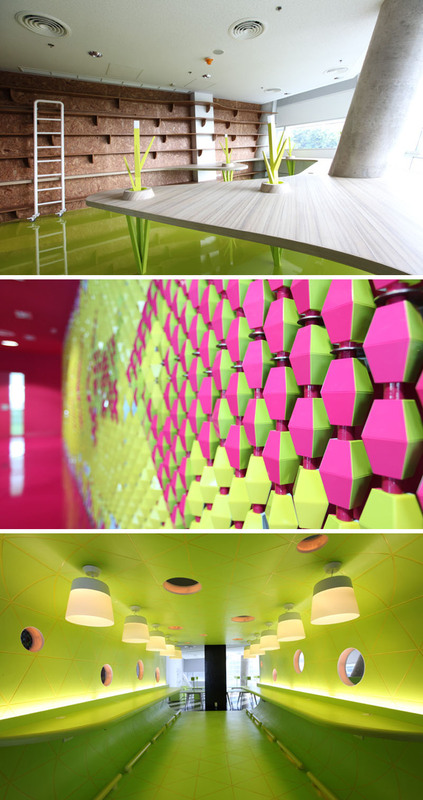 The BU Brand Unit was the most low-budget of the projects, and Supermachine was able to convert the space into a fun creative office, mostly by adding paint; the splashes of colors and circles, while not expensive, made for a complete transformation. The other two projects, with larger budgets had every aspect of the projects designed by Supermachine, including a unique pool table, shelving system and chandelier in the Lounge project, to a pixel wall in the Creative Center. Fun all the way around. 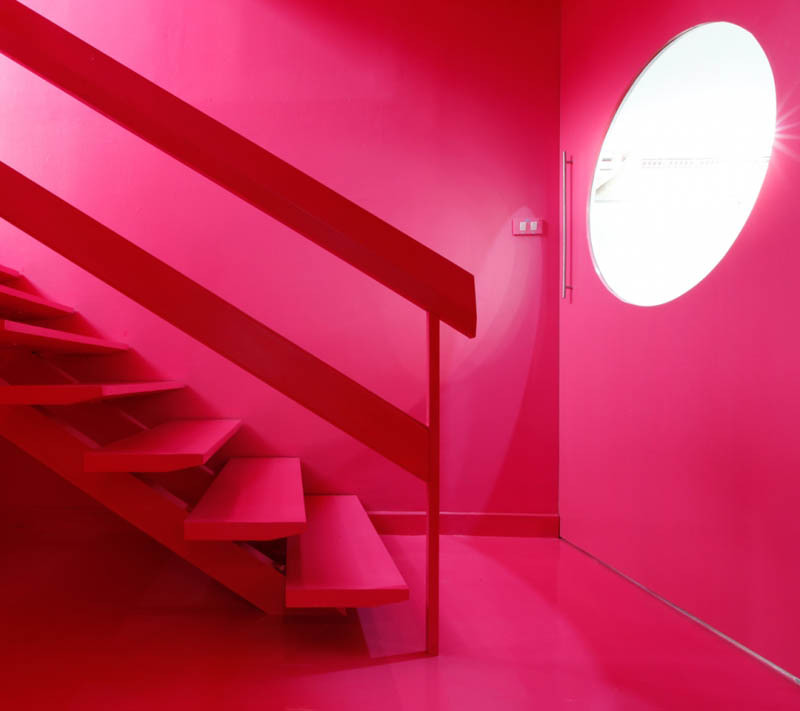 This entry was posted in Architecture, Fun, Industrial Design, Just Plain Cool, Stuff We Like. Bookmark the permalink.